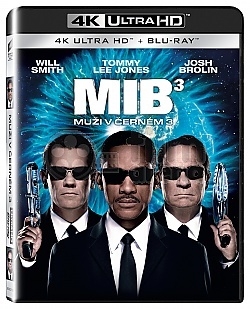 The Men in Black are a secret law-enforcement agency that is responsible for policing the extraterrestrial life hidden on Earth, as well as protecting the world from any aliens who attempt to destroy/invade the planet. J arrives in 15 July 1969, with the intention to catch Boris as he is about to murder Roman the Fabulous. However, he is delayed from navigating the era of 1969 (most notably by an altercation with two racist cops), and gets there too late to stop Romans murder by 1969 Boris. He encounters 1969 Agent K, who subdues him and brings him to MiB headquarters. J tells K nothing, but when threatened with getting his memory erased he tells K part of the truth: he came from the future in pursuit of another time-traveler whos trying to change history. K and J follow a trail of clues to Andy Warhols Factory complex, where Warhol is revealed to be MiB Agent W. He notifies them of Griffin, an Arcanian being who has the ability to foresee all timelines and futures; Griffins planet was destroyed by the Boglodites, so he came to live on Earth and brought with him a device which will prevent the Boglodites from consuming the Earth. 1969 Boris arrives at the Factory in search of Griffin, who makes a quick exit with Boris in fast pursuit (to Js displeasure, although K doesnt seem to get too worried). K, J and Griffin arrive at Cape Canaveral, where they are accosted by a Colonel guarding the facility. Griffin instructs them to tell the truth to succeed, which they do; the Colonel doesnt believe them, but when Griffin shows him the future he changes his mind and assists J and K in reaching the shuttle. Griffin takes his leave at this point, advising J that when K blows Boriss arm off the timeline will be restored back to normal and he can return home. J and K confront the two Borises, who were waiting for them at the shuttle launching pad. K and 1969 Boris fight, while J takes on the current Boris. J is mortally wounded by Boris, but manages to knock Boris into the launching shuttles exhaust blast; he then time-jumps to before Boriss attack, managing to repeat himself and avoid Boriss attacks. Meanwhile, K blows off 1969 Boriss arm and manages to attach the ArcNet to the shuttle as it launches. In the aftermath of the launch, as J is about to time-jump home he witnesses from afar K thanking the Colonel for his assistance and offering him a job with MiB. Then 1969 Boris appears and kills the Colonel, but K kills him instantly (1969 Boris expected to be arrested for the next 40 years and then go back in time, but J had previously advised K to straightaway execute Boris when he surrenders). Then K witnesses a young boy, the Colonels son, arrive looking for his father; K sadly neuralyzes the boy and takes him for a walk. A shocked J realizes that that boy was him, and that K has played a vital part in his life. Upon returning to the present, he tells K he knows what happened and understands, and K says it was a privilege to have J as his partner. The film ends with Griffin happily observing that alls well that ended well... then he sees K forgot to leave a tip, and foresees a meteor smashing into the Earth. Then K returns and leaves the tip, and with relief Griffin foresees a satellite appear in the meteors path, halting it and keeping the Earth safe.